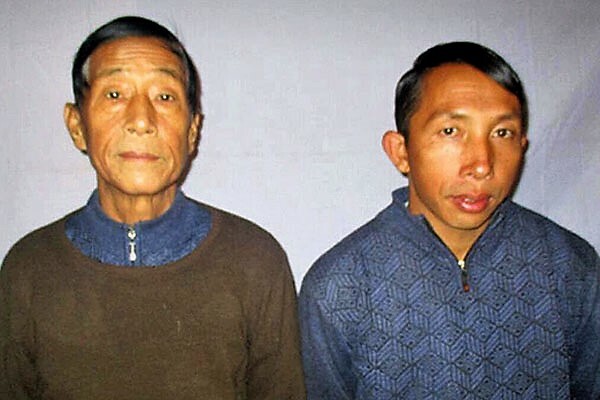 Two Kachin Baptist pastors who helped a journalist to photograph a Catholic church, apparently bombed by Myanmar’s army in 2016, have been sentenced to two years in prison, for their alleged support of the Kachin Independence Army. According to advocacy group Christian Solidarity Worldwide, which called the verdict a “serious miscarriage of justice”, Dumdaw Nawng Lat, 67, received an additional two-year sentence for defamation because of a December 2016 interview with Voice of America, in which he reported on army airstrikes. He and Langjaw Gam Seng, 35, went missing on 24 December 2016 during a period of intense armed conflict between an alliance of ethnic militias and government forces in the northern state of Shan, which, together with neighbouring Kachin and Chin states in the west, are home to most of Myanmar’s Christians. “Using helicopter gunships, warplanes and heavy artillery, the military drove a coalition known as the Brotherhood of the Northern Alliance out of Mong Ko [in Shan state], and in the process intentionally targeted and bombed the St. Francis Xavier Catholic Church,” said Elijah Brown, the new general secretary of the Baptist World Alliance, after a recent visit to Myanmar. The army claimed the militia was hiding weapons in the church, something “flatly denied” by Catholic Bishop Philip Za Hawng, whose diocese covers Shan state. Relationships between the Kachin and the military are strained not only by the conflict, but also by slow progress in identifying and prosecuting perpetrators of the many documented cases of sexual abuse by Myanmar troops in the region. Two Kachin Baptist women teachers were raped and murdered in February 2015, and no-one has ever been tried or convicted for their deaths. Myanmar is 28th on Open Doors’ 2017 World Watch List of countries where Christians are most under pressure for their faith.